Dominique Strauss-Kahn will return to a very different France from the one he left. The country’s state TV network reported that his personal approval rating, which stood at 52 percent prior to his arrest, had plummeted to 28 percent by the time all the charges against him were dismissed this week. Yet the top echelon of the Socialist Party has greeted the news from New York as though dismissal were equivalent to acquittal. Party leader Martine Aubry, who might not be a presidential candidate today had Strauss-Kahn not been arrested, expressed her “happiness” for DSK and his family, saying “we must now reflect on the truth of the facts, respect for individuals, for those presumed to be victims or guilty, and respect for justice”—as if lavishing “respect” all around made it unnecessary to comment on what the poll revealed: that many French citizens who had once supported Strauss-Kahn had changed their minds in light of what they had learned over the past three months. In short, the aftermath of the affair seems to be confirming the existence of a very deep split between the French political elite and ordinary citizens. The man—and perhaps even more, the woman—in the street care about the character of their leaders, while the “establishment” prefers to stress its own competence by portraying DSK as a figure whose acute mind and broad international experience are indispensable to France. Of course, not even Strauss-Kahn’s most zealous supporters are suggesting that he try to get back into the presidential race. Mr. Le Guen suggested that he take some time to “rest and rebuild his life” after his ordeal. And the newspaper Mediapart observed that it will be difficult for Strauss-Kahn, if he does return to public life, to avoid one simple question: “What happened in Room 2806?” But the six candidates currently in the race for the Socialist Party nomination have been careful not to invoke the letter of the party rules against him. He may have missed the filing deadline, Mr. Hollande allowed, but if he wished to get back into the race, who would dare oppose him? The Eurozone is suffering from a major economic crisis, the logic among the French political elite goes, and economics is Strauss-Kahn’s strong suit. He taught the subject at the École Nationale d’Administration, the prestigious training ground for France’s elite, and he gained international prominence as director of the International Monetary Fund. With the viability of the euro and the future of the European Union in doubt, Strauss-Kahn’s supporters seem bent on rehabilitating his image by emphasizing his role in tackling these important issues. And it just might work. The media will be eager to provide him with a platform, and he will no doubt seize the opportunity, though disappointing his interlocutors by declining to revisit the events of last May 14. Magnanimously setting aside his personal travails, he will take upon himself the tribulations of Europe. His fellow Socialists will solicit his support for their eventual presidential candidate, and even President Sarkozy might well seek his advice, if only to ensure that Strauss-Kahn’s enthusiasm for the candidate of the left will be mitigated. Indeed, on key issues in France, such as raising the legal age of retirement from 60 to 62, Strauss-Kahn has, in the past, been closer to Sarkozy, who strongly supported his bid to head the IMF, than to some of the president’s would-be replacements. But this haste on the part of political elites to champion competence over character may prove to be a serious political misjudgment. For many French citizens, Strauss-Kahn’s admitted sexual encounter with a chambermaid, whether consensual or not, suggests recklessness incompatible with statesmanship. 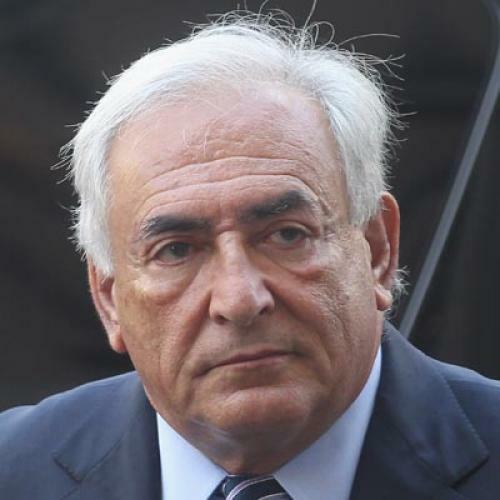 For others, who prior to DSK’s arrest knew nothing about previous allegations of sexual misbehavior or about the Strauss-Kahns’ great wealth and lavish lifestyle, the extensive media coverage has raised doubts about his character. Indeed, even Le Monde, France’s newspaper of record, was careful to note in an editorial that the dismissal of the charges could not and would not remove the stain from Strauss-Kahn’s reputation. Although the American judicial system “on the whole functioned in accordance with its own logic,” the paper conceded, that logic was “merciless.” This recognition that the damage was severe and could not be undone reflected a realism that even Strauss-Kahn’s allies likely share, however little they wish to show it. And even Strauss-Kahn’s attempt to rise above the political fray by emphasizing his technocratic qualifications could be foiled by fire from the extremes. When DSK was seen as the likely candidate of the left, both Marine Le Pen, the candidate of the extreme-right Front National, and Jean-Luc Mélenchon, the candidate of the extreme-left Front de Gauche, tried to paint the IMF as the symbol of “globalized capitalism,” which is widely despised in France. Recent polls have shown Ms. Le Pen capturing up to 40 percent of the working-class vote with her potent mix of economic nationalism and anti-Islamic sentiment. She was also one of the first public figures in France to take up the defense of DSK’s alleged victim and to hammer on the “character issue.” And Mélenchon, for his part, is the author of a book entitled Qu’ils s’en aillent tous, which might be loosely translated as “Throw the Bums Out,” an indictment of the entire political class. Strauss-Kahn is exhibit A in the case that these populists of the left and right are prosecuting against the establishment. His return to the political scene would no doubt reanimate their fury against both DSK the alleged sexual predator and DSK the agent of international capital. Arthur Goldhammer is a senior affiliate of Harvard’s Center for European Studies as well as a writer and translator who blogs on French politics.